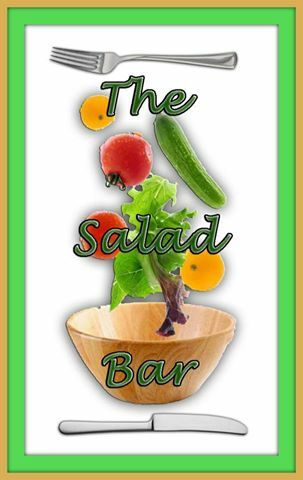 It's time for the monthly installment of The Salad Bar Monthly Blogging Group. Each month, a theme is assigned and there's pretty much free reign to make a salad that highlights the featured ingredient or salad type. This month's theme was Asian inspired salads. There's so many ways to follow this theme but I decided to go with a quinoa based salad that has a peanut dressing, lots of veggies and topped with green onions and peanuts. It was so good and it makes a lot...we were eating it for lunch and dinner for days. It can be either eaten at room temperature or cold and it was good both ways. In a medium pan, bring two cups of water to a boil. Add the quinoa, stir and cover. Reduce heat from high to medium-low and simmer for 15 minutes. Fluff with a fork and allow to cool. For the dressing, combine the peanut butter and honey in a small bowl. Microwave for 20-25 seconds to soften. Add in the ginger, soy sauce, vinegar and both oils. Stir until well combined and smooth. 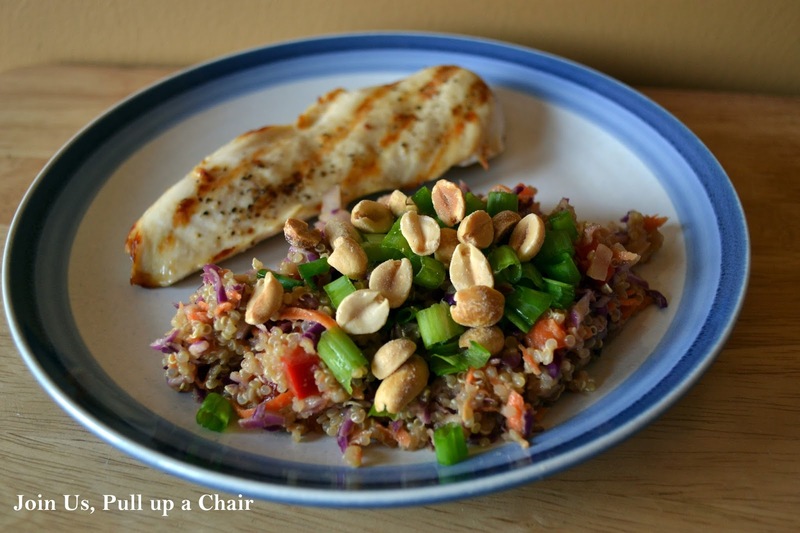 Place the cooled quinoa in a large bowl and add in the dressing. Stir to combine. Add in the chopped vegetables except for the green onions. Scoop out a serving and top with green onions and peanuts.